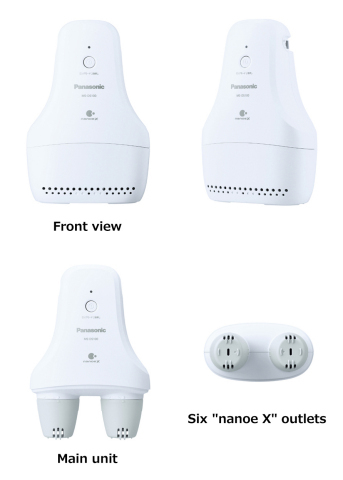 OSAKA, Japan--(BUSINESS WIRE)--Panasonic Corporation will begin selling a shoe deodorizer, the MS-DS100, equipped with "nanoe X" that generates 10 times(*2) more hydroxyl (OH) radicals than "nanoe" to remove unpleasant shoe odors in a simple way, on September 20, 2018 (in Japan only). One of the common causes of unpleasant shoe odors is isovaleric acid, an odorous substance produced by foot sweat and bacteria. According to a survey(*3) Panasonic conducted with sneaker wearers, about 62% of those surveyed take some measures to remove shoe odors, but about half of them are not satisfied with the deodorizing methods they use. 2. Economical operation with electricity cost of less than 1 yen(*4) per use. Also operates on a mobile battery(*5). 3. Storage case provided with the product features a stylish design to look attractive when placed in an entrance area. 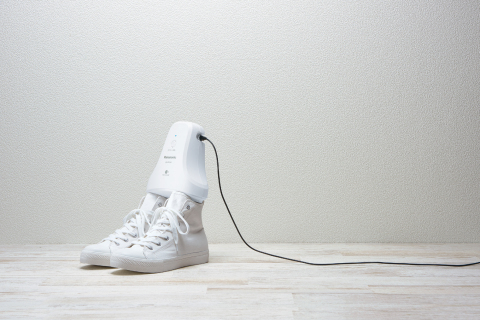 Panasonic introduces the shoe deodorizer, equipped with an original ion particles nanoe X. It eliminates shoe odors effectively and economically.